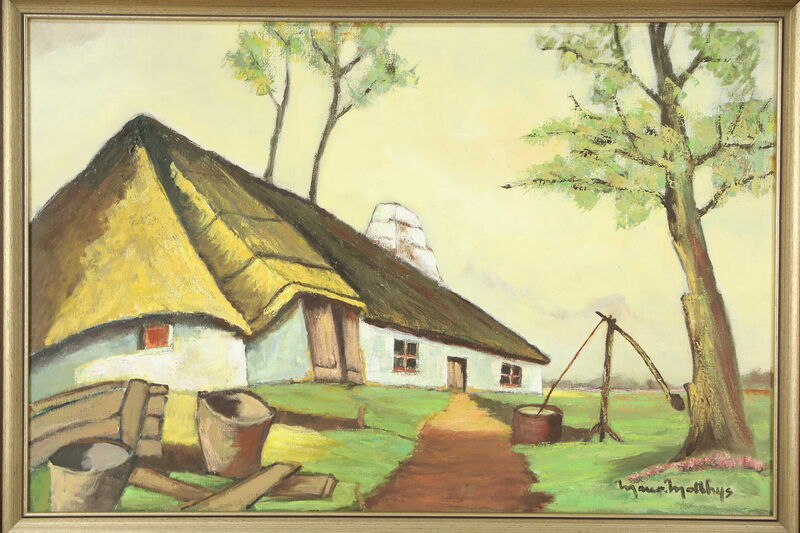 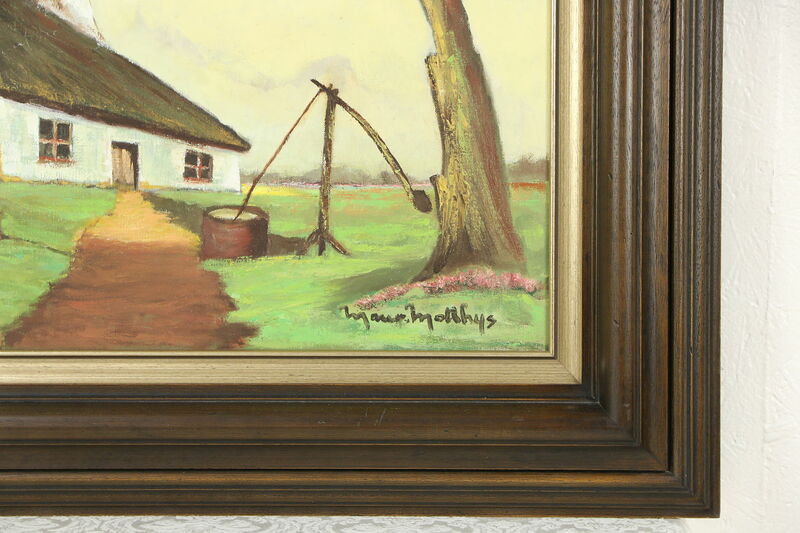 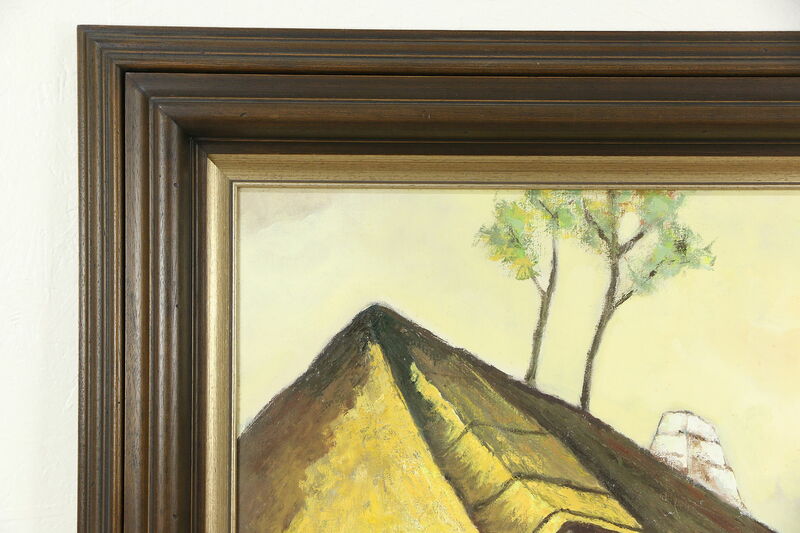 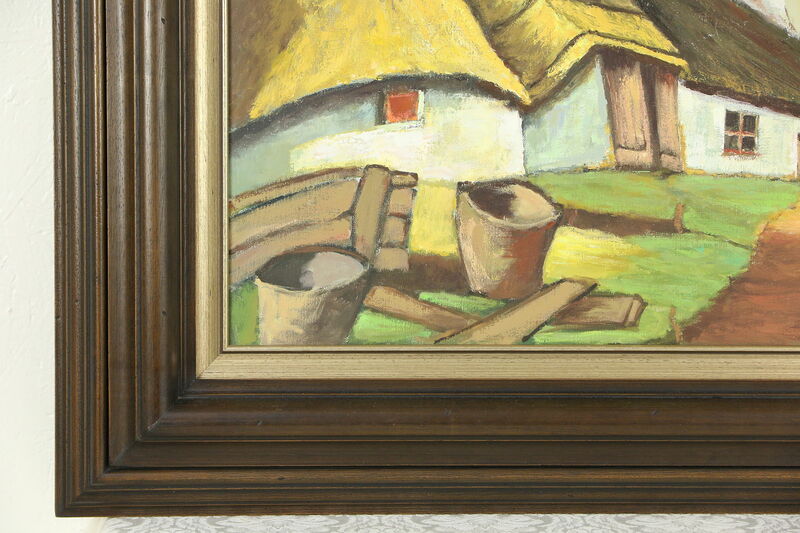 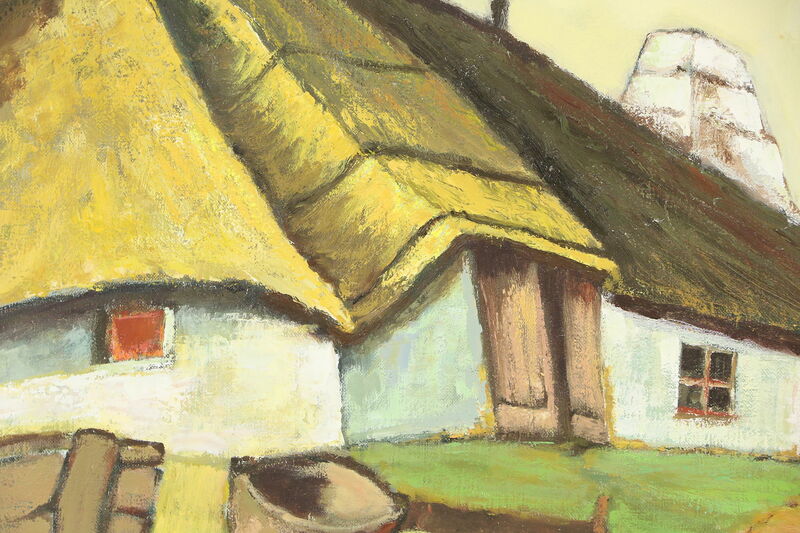 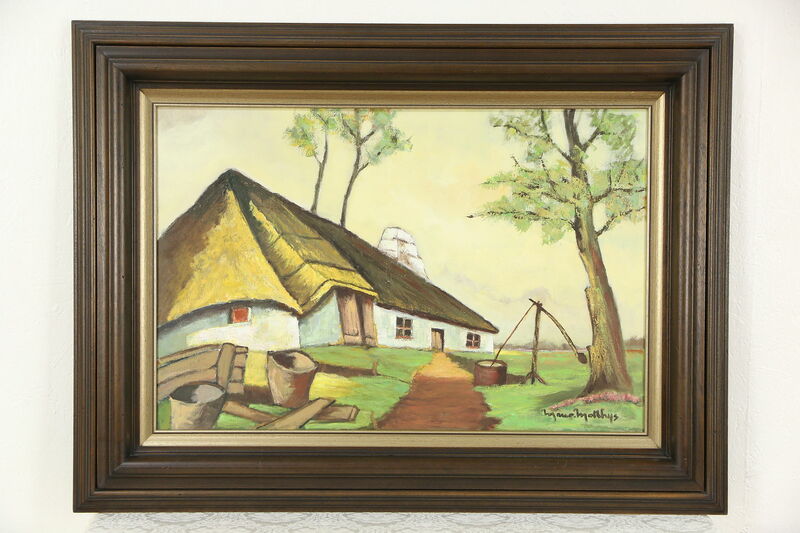 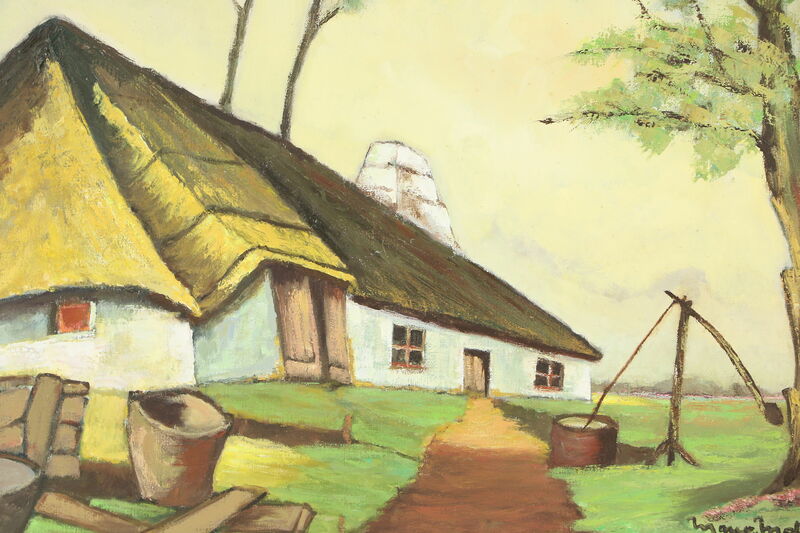 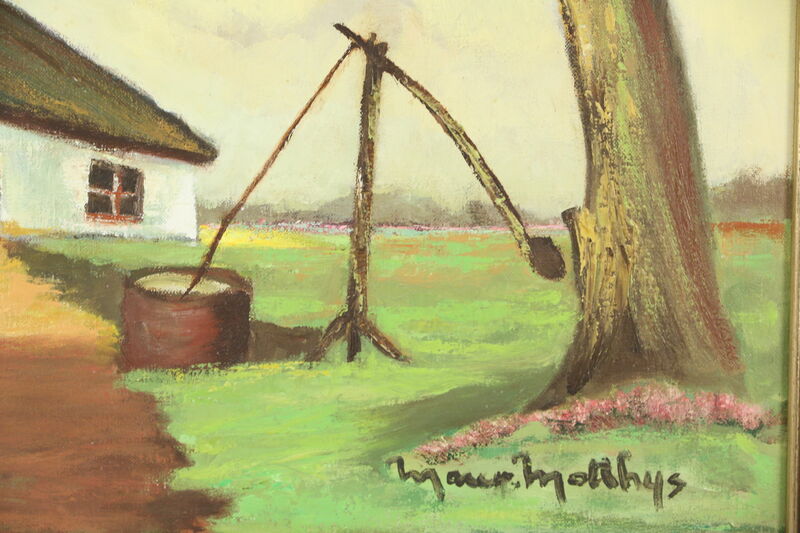 A view of a farmhouse in Denmark is the subject of this 1950's original oil painting, signed "Monica Molthys." 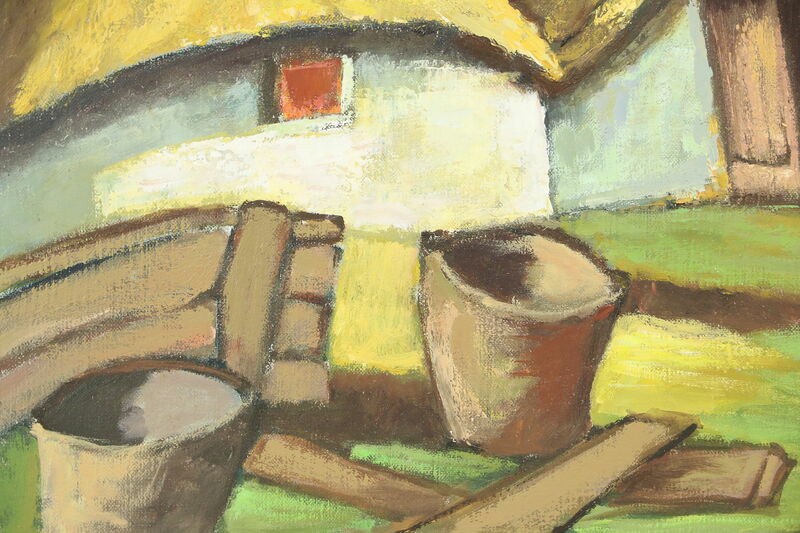 This work of art on canvas is a fascinating composition. 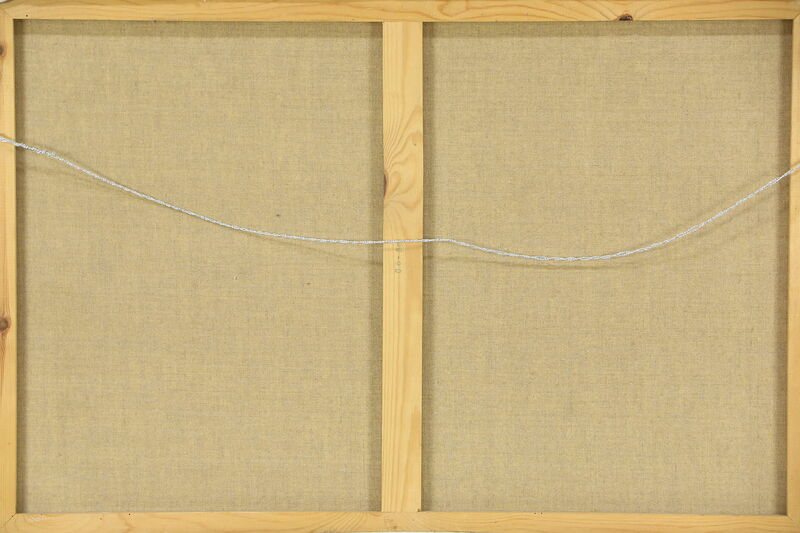 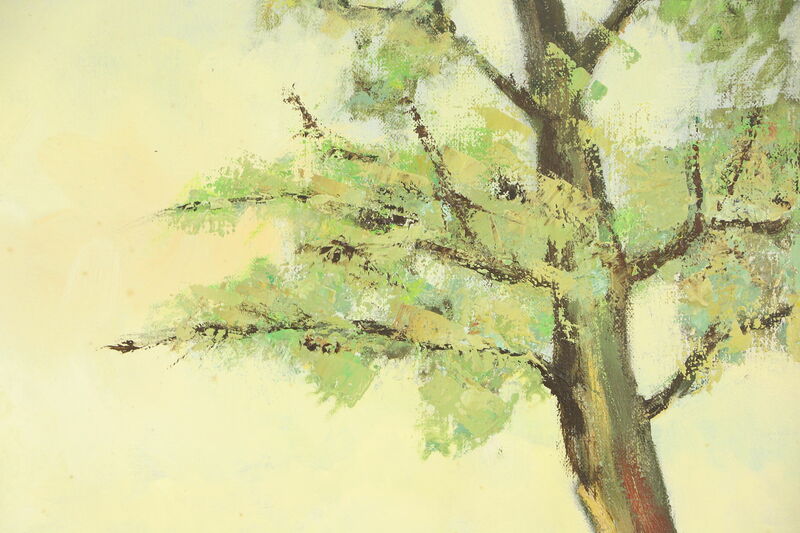 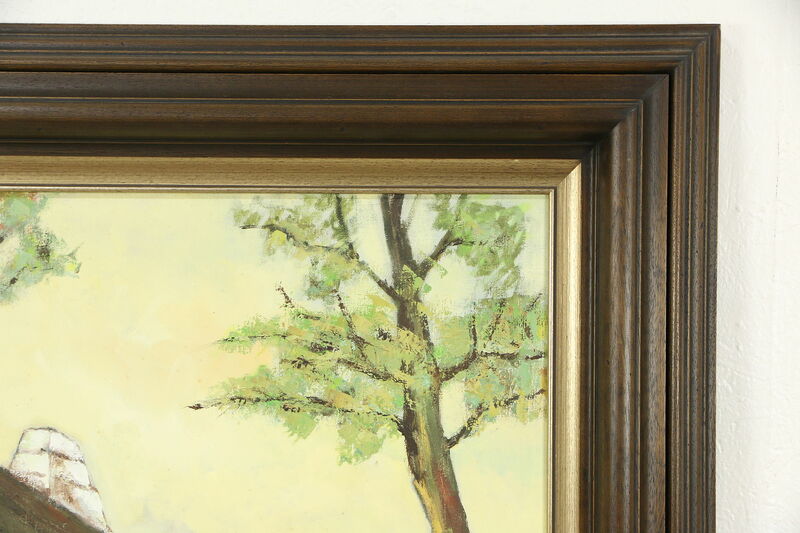 The original frame is deeply sculpted. 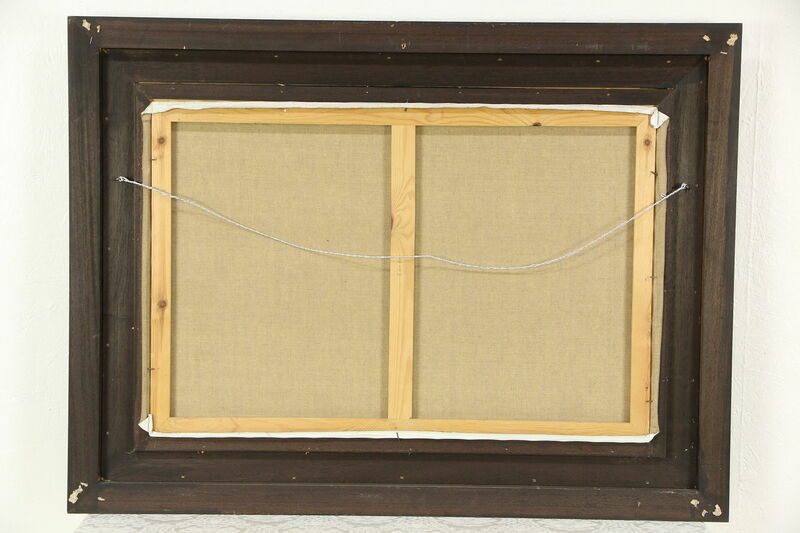 Overall size is 47" x 35" and 3" deep.